Ok so let’s get on with it. 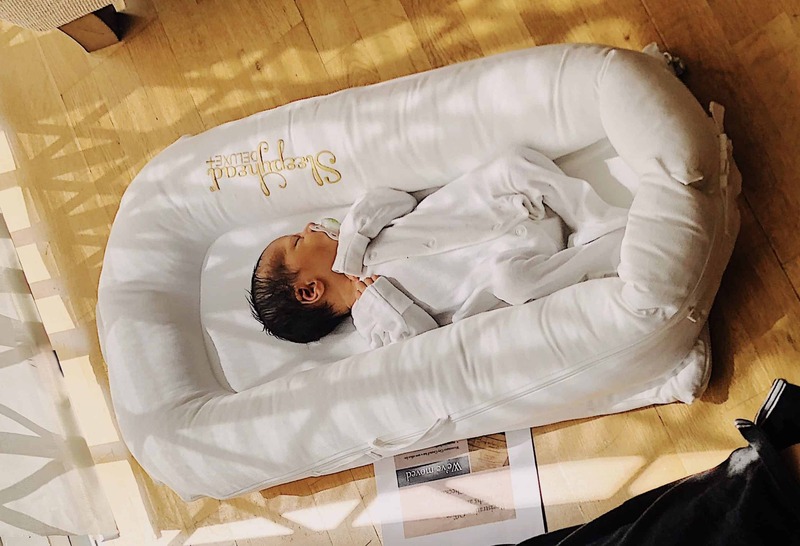 Hurricane Aadam (that’s what we call him) has just gone down for a nap, which will likely last all but 10 minutes, and I promised to help Layla make a dent in the number of reviews that need written up. 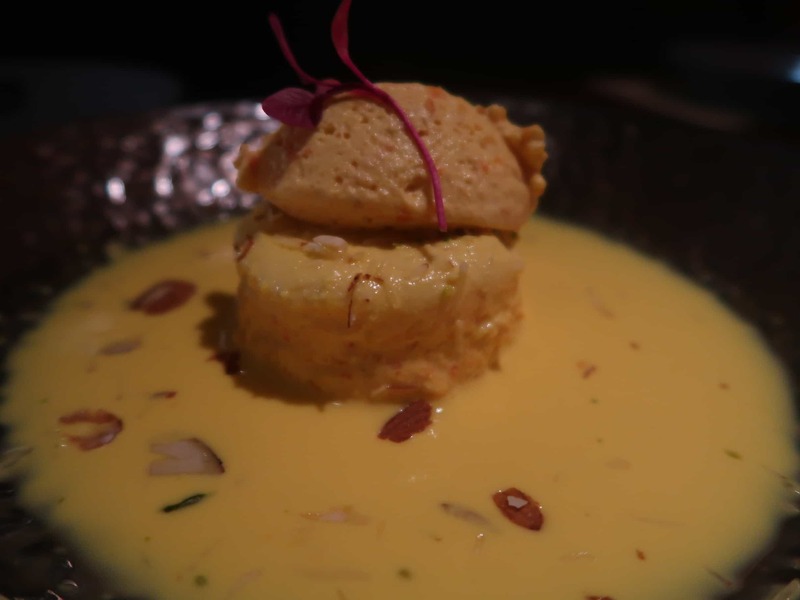 Hello everyone, I’m BW, and today I want talk about Farzi Cafe – which goes right up there as one of our favourite Indian restaurants in London right now, and for me I think it has clinched the top spot (it had been Jamavar for some time). 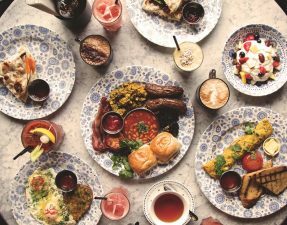 I have to admit I had never heard of Farzi Cafe until I was invited by a friend of mine to the pre launch event in December. I believe there are a handful of them scattered around India and the one in Dubai is also supposed to be exceptional. Naturally I took Halal Girl with me – I think her feedback was the real reason I was invited anyways, but let’s still pretend it’s because I’m special. For the record, I enjoyed my meal so much that I was happy to return post launch just a couple of weeks later for a dinner with friends (while Layla was jet setting off to Orlando earlier this year). 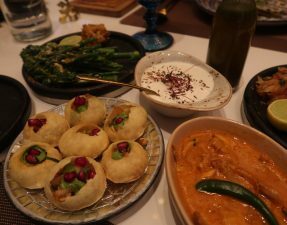 We started with the Buttered Beef Bone Marrow, Lamb Galouti Kebab (served with brioche), Hass Avocado Chaat, Chicken Tikka, and the Butter Chicken Baos. 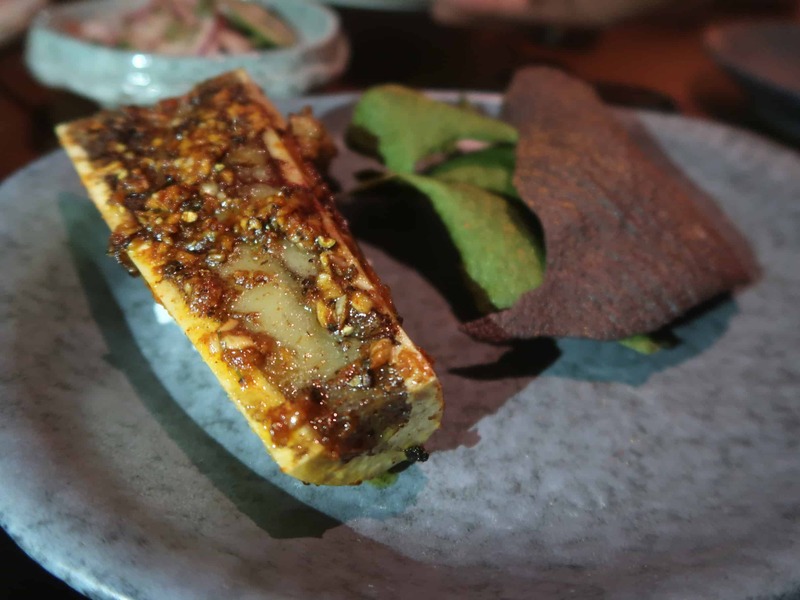 The Roasted Butter Beef Bone Marrow was a hit for everyone and I have to say I was pleasantly surprised. Bone marrow is a dish I tend to avoid because of the almost gelatinous texture (plus its all fat! ), but I found this to be soft and creamy, thanks to all the butter it had been roasted in. 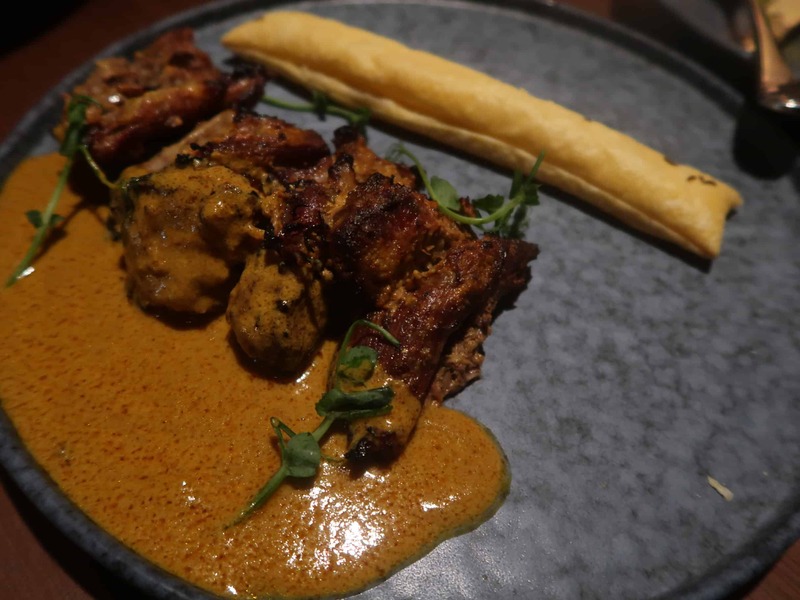 The Lamb Galouti Kebab Pate [£9.00], served with an aerated, saffron-infused flatbread, was also a revelation. 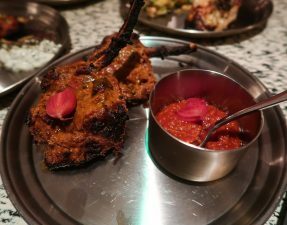 Heavily-spiced and served like a thick lamb puree, this dish really made you stop to enjoy it instead of simply wolfing it down, but be warned, it is not for everyone. 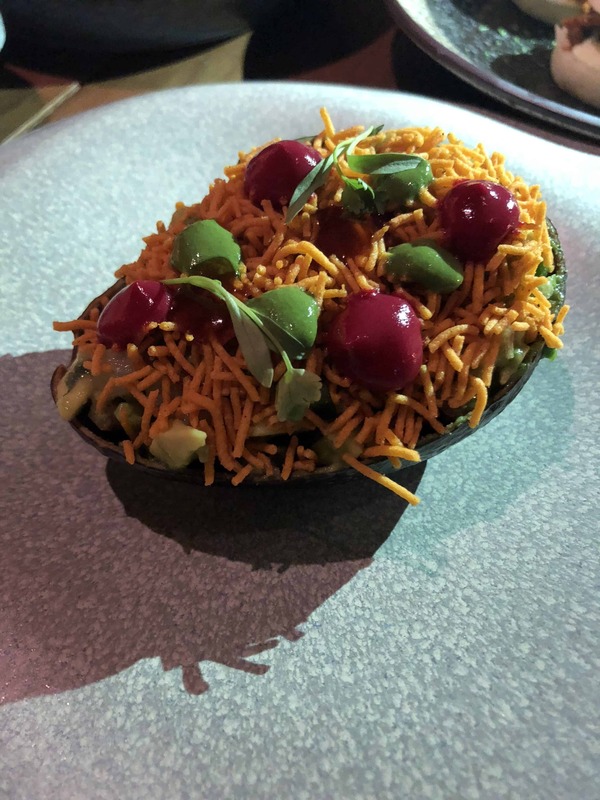 Hass Avocado Chaat was great if you like avocado; I suppose a little bit of veg to balance out all the meat wouldn’t hurt and as it was gluten free (confirmed by staff), I felt it was necessary to give it a try. I wasn’t disappointed but it was not memorable. 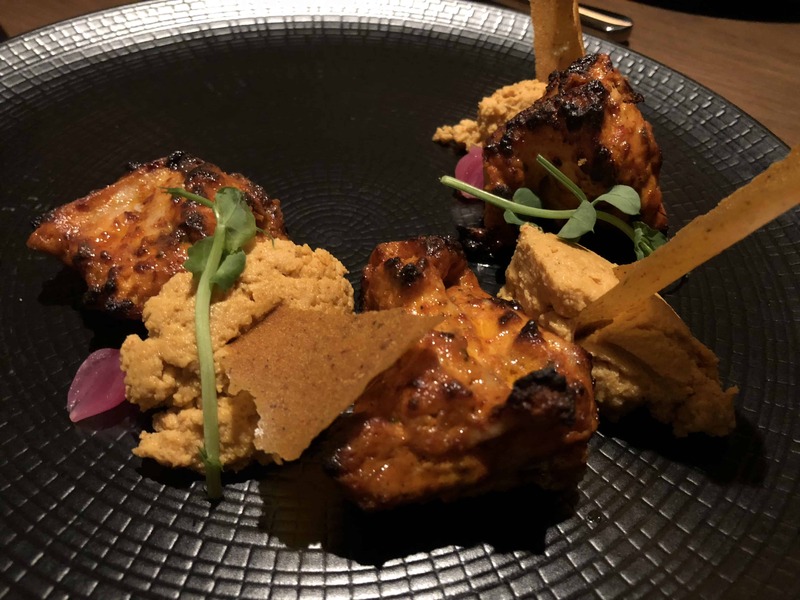 The Chicken Tikka^3 was cooked perfectly; it had soaked up the fiery marinade before being placed in the tandoor to get the smoky char flavour. 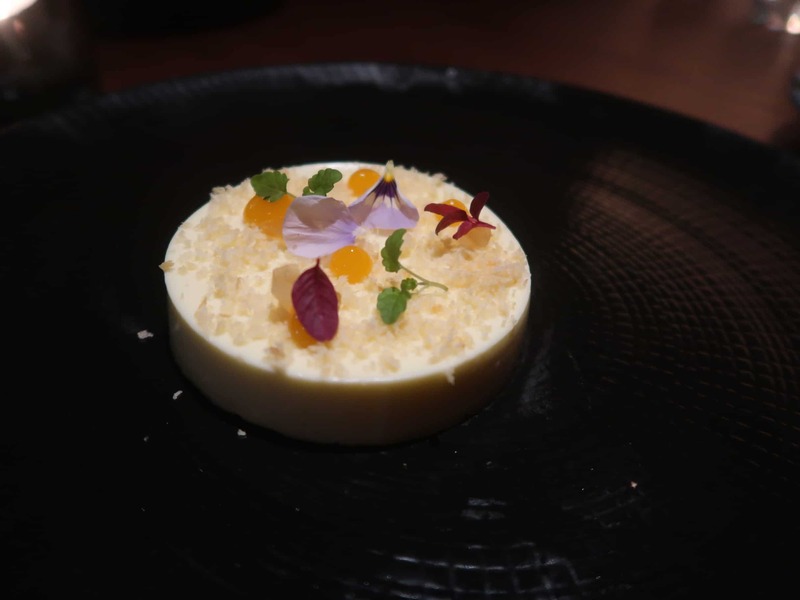 It had also been served alongside chicken pate and a chicken fat crisp. 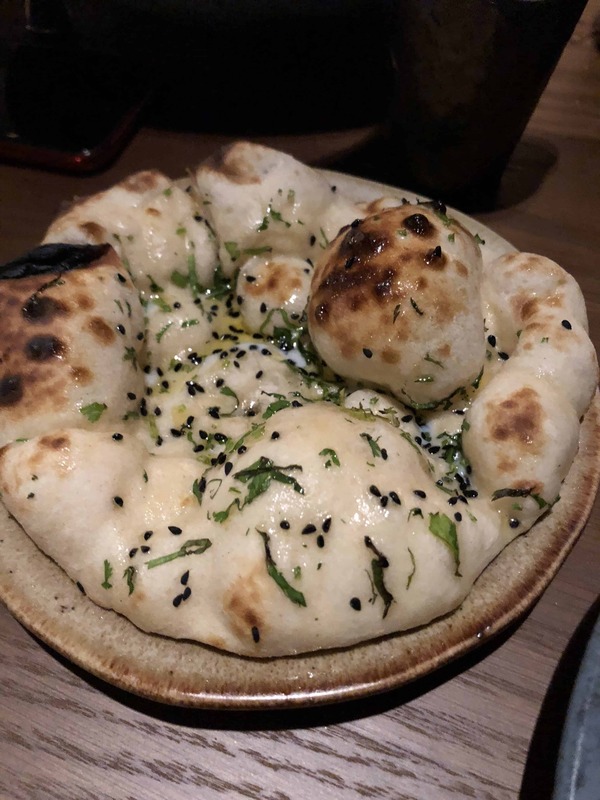 The Butter Chicken baos were okay; I personally didn’t think the butter chicken was quite as good as the stuff mum serves up at home, but perhaps I am being biased. The chicken did need more of an oomph from the green chilli mayonnaise as it was rather sweet and admittedly, I couldn’t eat t bao (gluten!) so perhaps this compromised the verdict. 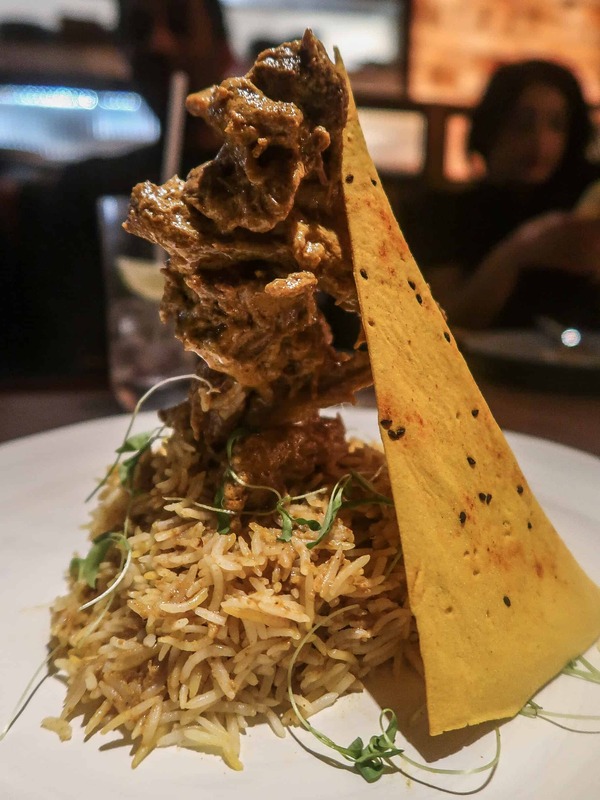 For mains we opted for the Veal Osso Bucco, Wagyu Cottage Pie, Tandoori Goat Shoulder, Salmon Tikka, Braised Lamb Chops with Maple and Fennel, Lamb Shawarma Biryani, and Vegetable Biryani. Whilst I struggle to find much fault in the majority of these mains, there were a couple that really stood out. 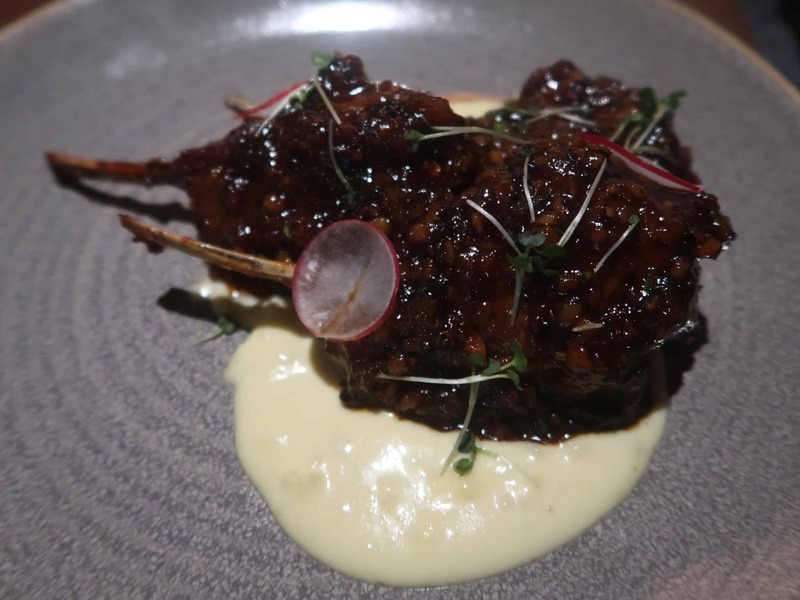 The most memorable and favourite item from the mains were the Lamb Chops; sticky, juicy, tender chops, that were packed with an incredible combination of flavours, starting with the sweetness from the maple and finishing with the fennel’s liquorice-like taste. 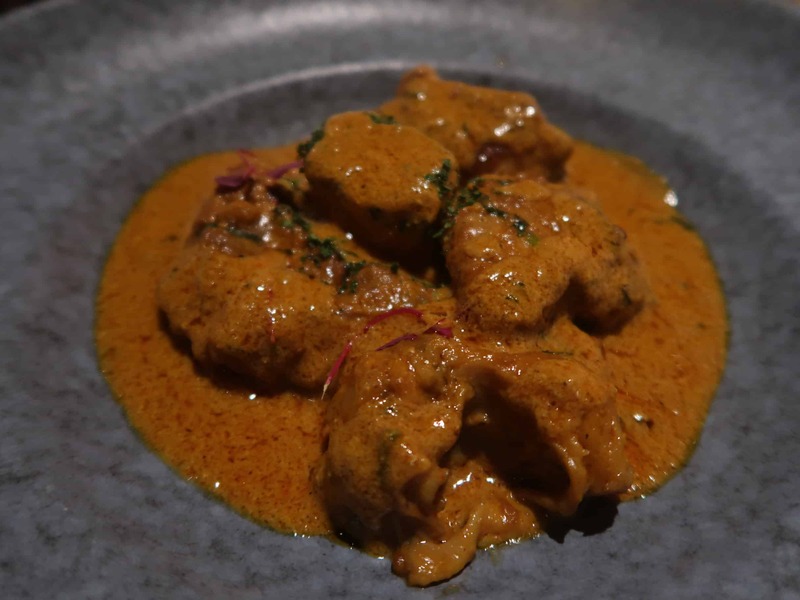 The Veal Osso Bucco was incredible too; soft and tender veal medallions that sat in a rich and dark “stew” and served with a coriander kulcha for mopping up. 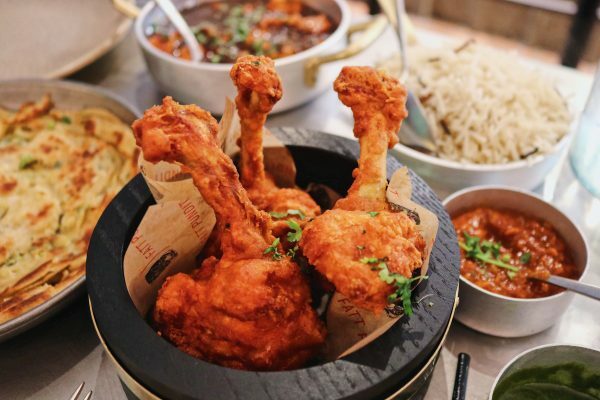 Unfortunately, the Bok Choy and Asparagus Biryani [£15.00] was overwhelmingly salty but as this was a soft launch, we provided feedback that has been taken on board. 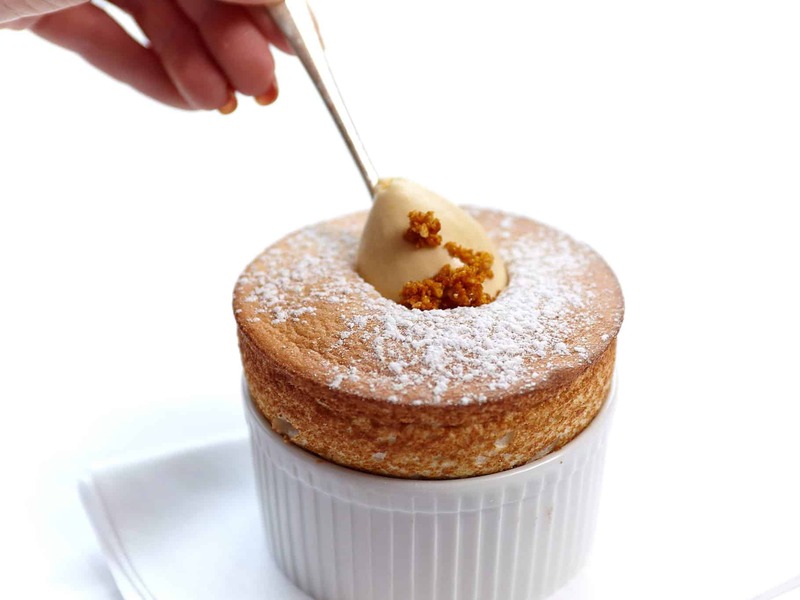 Although the staff were a little frazzled as it was the first night, they were attentive, knowledgable about the menu, and generally very helpful. 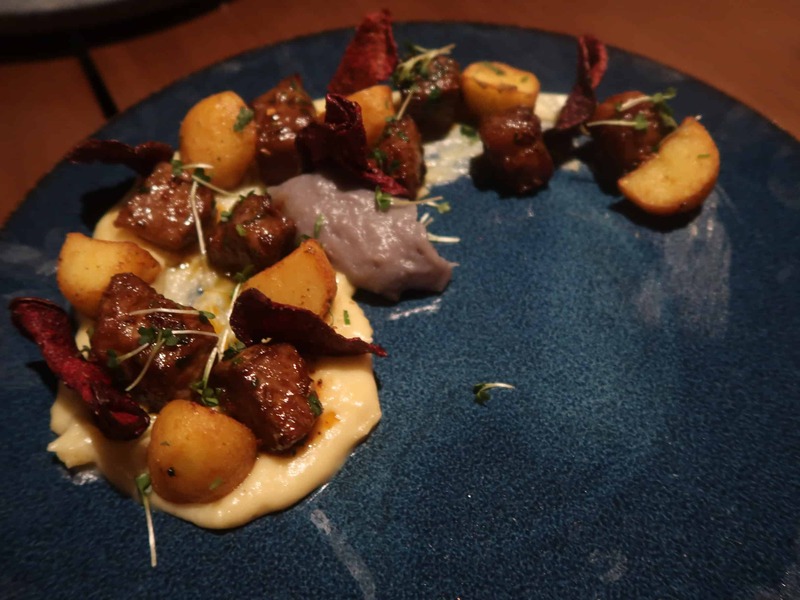 The dishes were wonderfully creative, well presented, and most imporantly, tasty. 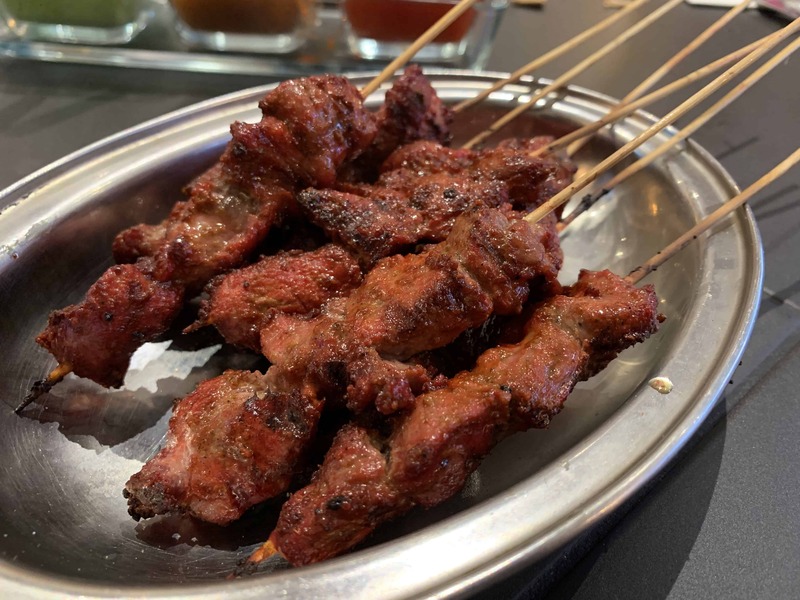 Farzi Cafe is a lively place so great for getting together with friends for a birthday or even just a Friday night out, although it is probably best to leave any kids at home. 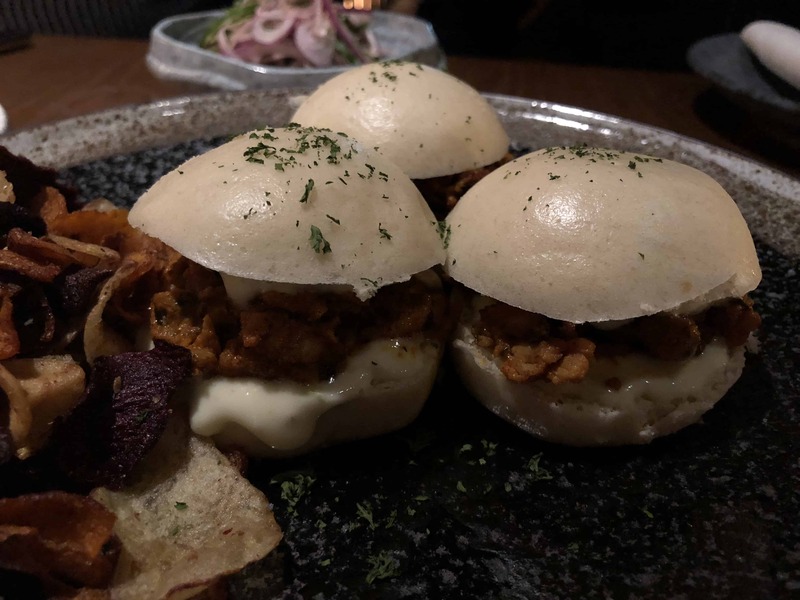 The overall verdict is that I/we highly recommended giving Farzi Café a try and if you are still reading my post down here then thanks, you made giving up my Sunday evening totally worthwhile. Sarcasm intended. For Farzi Cafe website, click here. Halal status on all meats except venison verified by restaurant. No cross contamination between halal and non-halal items.